Keeping bears away from the garbage, gardens and livestock of Montana’s scenic Swan Valley. Photo by Swan Valley Bear Resources. The Swan Valley is where it all began for Vital Ground in Montana. Our first conservation easements happened there, and it still holds our largest collection of habitat protection projects. As shown in the video below, we are eager to aid Swan Valley Bear Resources (SVBR), a collaborative group doing vital work to reduce bear mortality in the area. 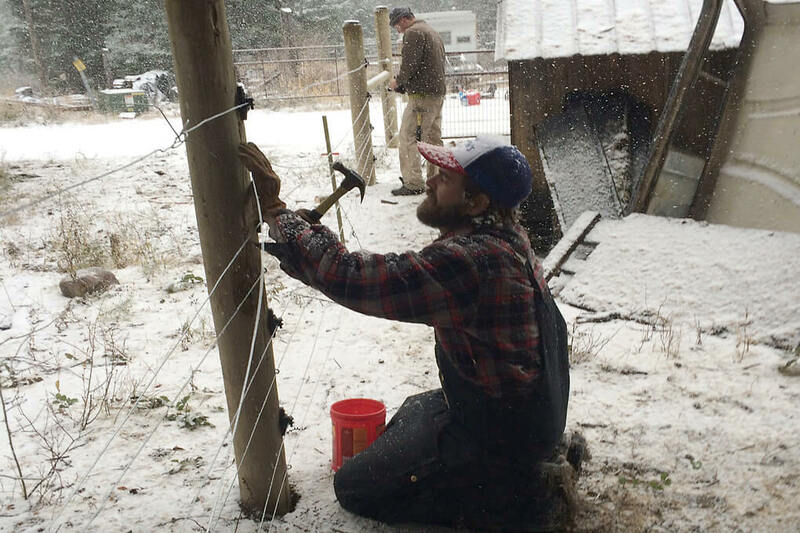 For the fourth consecutive year, we supported SVBR in 2017 as they hosted community classes and workshops teaching landowners about bear-resistant garbage containers, bear-proof fencing for gardens and livestock, and bear safety for recreationists. This is the critical follow-up work ensuring the efficacy of our habitat protection efforts in the Swan, and we can’t think of a better partner for it.